Soon after starting Gettin’ a li’l psycho on tyres I was pleasantly surprised to learn that the sleepy little town of Farnham in Surrey close to where I went to school once had a budding motor industry, first by finding out about the Abbots of Farnham Coachworks which amongst other things was responsible for a Fraser Nash BMW body, the bodies of several Bristol’s and several Ford’s, then I found out about the cute little 2 cylinder Carden. 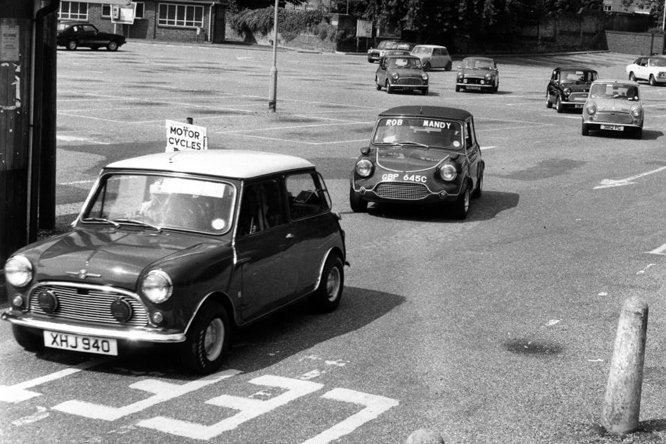 Today’s story began a couple of weeks ago when I was looking at a facebook page called I Love Farnham Surrey where I stumbled across today’s photo’s of a 1979 gathering of Mini’s in Farnham’s central car park posted by Stephen White. I did not notice anything particularly special about the car park behind the bank where I opened my first bank account until the Mini with the special nose caught my attention. It turns out to be a Ridgeway Sports Conversion a £24 fiber glass kit that was marketed by the Ridgeway Rd, Garage in Farnham. 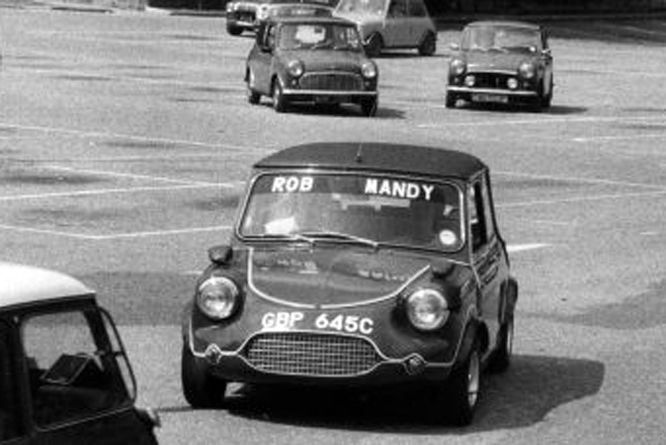 The garage was owned by a Mr Lawrence who’s son Richard had such a nose on his own Mini as did his Uncle who raced his Ridgeway converted Mini at Eelmor Plain near the Army Training Grounds just outside Aldershot. 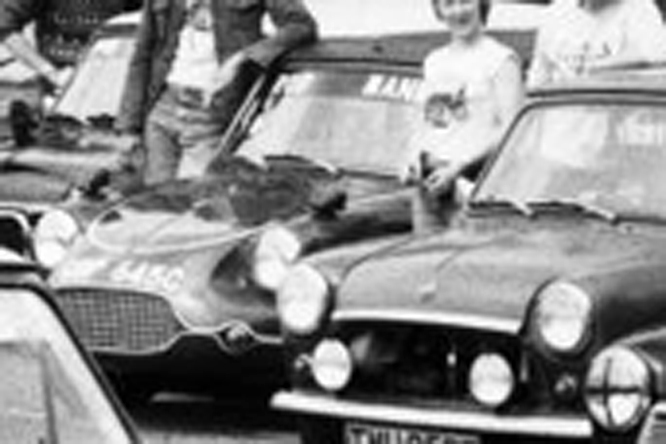 Stephen tells me the meeting was arranged so that he and his friends could go to Donington Park in convoy to celebrate the 20th Anniversary of the Mini. I’d like to thank Stephen White for kindly allowing me to use his photo’s and Colin Cole for identifying the Ridgeway Conversion. Thanks for joining me on this £24 Including Packing edition of ‘Gettin’ a li’l psycho on tyres’, I hope you will join me again tomorrow. Don’t forget to come back now. This entry was posted in Uncategorized and tagged Car, Central, Colmar, Conversion, Farnham, GALPOT, Lawrence, Mini, Park, Ralph, Ridgeway, Sports on March 11, 2012 by Ralph.